I confess: I have never been interested in football, never go to see games, don’t read sports news. But when the famous Swedish player Zlatan released his book I bought it since I felt that his life story was interesting. And indeed, I found his story captivating, especially his descriptions of all the drama on the field when he makes all these incredible goals. 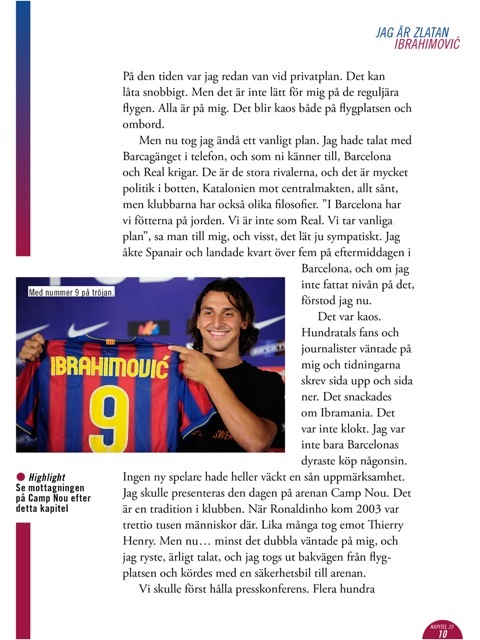 Since I have never seen Zlatan play on TV either, I immediately missed seeing pictures in the book. And the next thought was of course “Why is there no ebook version of this with pictures and videos from the games?”. This is the way for non-fiction ebooks! The image adds to the feeling, don’t you think? And then there are more pictures and a video clip from the arena, where 60 000 people is cheering his arrival! The ebook version lifts Zlatan’s story to a whole new dimension for me. I just feel that for non-fiction books, this is the way they should be. For pure fiction I am still quite satisfied with “just” text. So I have now added attending a game with Zlatan to my “things I must do” list, since I want to experience the feeling that I get when enjoying this ebook. To me, the enhanced ebook version carries a lot more value, so I would gladly pay more for it. Get out there and showcase this kind of ebooks! I have not seen any ads or PR yet for the Zlatan ebook app, and nobody I have enthusiastically mentioned it to have been aware that it exists. Titles like this with their broad appeal can be used as spearheads to motivate readers to pay good money for ebooks! Zlatanboken och Zlatans berättelse spränger alla möjliga rekord och gränser! 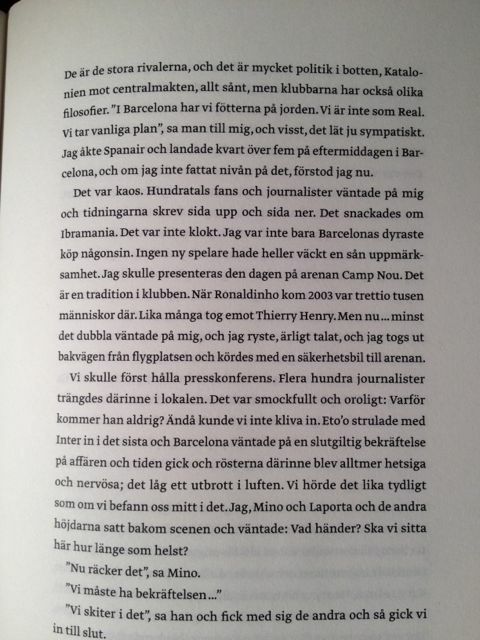 * Och riktigt intressant boken om Zlatan utvecklar den transmediala berättarformen för fackboken som du visar ovan. Next Next post: The Magazine is Dead, Long Live the Story!